Description: Youngtown Inn & Restaurant is a business categorized under bed & breakfast accommodations, which is part of the larger category hotels & motels. 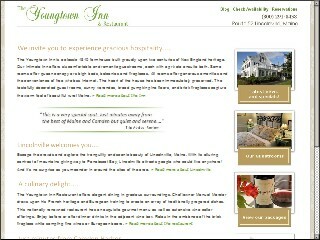 Youngtown Inn & Restaurant is located at the address 581 Youngtown Rd in Lincolnville, Maine 04849-5431. The Owner is Manuel Mercier who can be contacted at (207)763-4290. Location & access map for "Youngtown Inn & Restaurant"